I wanted to surprise my dearest Grandma with a beautiful cake on her birthday. I went to Pine Garden in Ang Mo Kio Avenue 10. I was told i have to select at least a 1 KG cake for approximately $42 or higher then to pay at least $15 for their workmanship to have basic design on the cake. I walked away without placing an order. I was at AMK Hub just other day and visited Four Leaves. I saw the picture of this cake in their catalogue and i wanted it without much hesitation. The price stated is $41 for 21 cm inclusive of the design work on the cake. The price is definitely much more reasonable as compared to Pine Garden for a similar cake. I was told that i need at least 3 days in advance to place an order. I was given the selection of Strawberry Shortcake, Blackforest, Almond Fruits Top and Chocolate Classico to choose. I was told that i can choose to pay the total amount in full or partial. I chosen to pay the full amount and i was given the order chit. I went back on Saturday to collect the cake. I was served by the same friendly assistant. She took out the cake from the fridge. She opened the box to show it to me though she did not pull it out as the cake occupied the entire box and it might not be too easy to put it back. She slotted in 2 pieces of disposable ice pads to raise the cake slightly so it would be easier for me to pull it out later. She asked me to handle it with extra cautious when she passed it to me. I truly appreciate such a good service provided by this assistant. 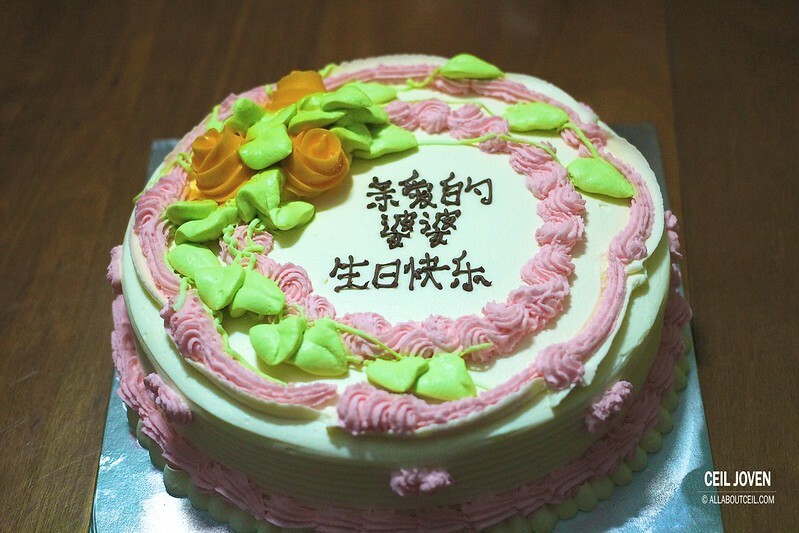 I could not forget the happy smile on the face of my Grandma when i presented the cake to her. And, she agreed that it was a pretty Birthday cake. The Strawberry Shortcake tasted absolutely lovely. The sponge cake was very soft and fluffy with generous bits of strawberry sandwiched in between. The fresh cream was delicious with just the right amount of sweetness. 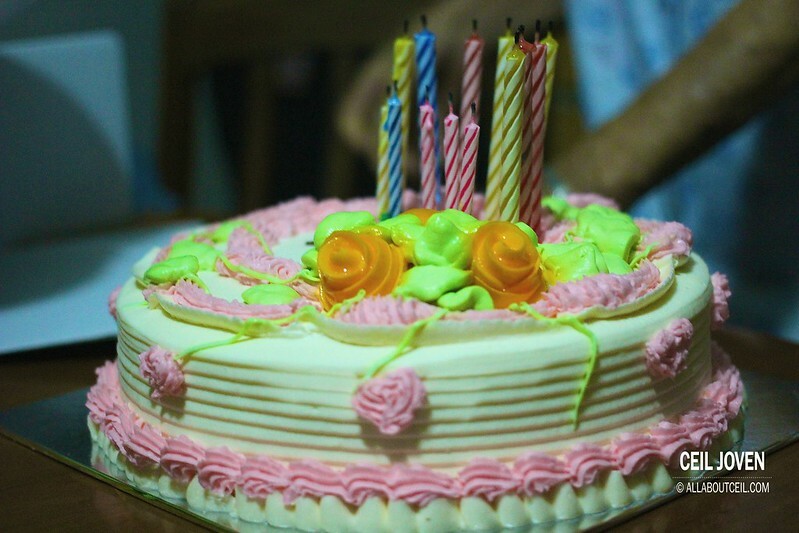 It was a Happy Birthday for my dearest Grandma and we enjoyed the cake a lot.